We are currently in the market for new baby gear and it’s been a long time since we’ve needed cribs and strollers. You can relax, we are not pregnant!!!! My husband and I are in the process of becoming foster parents. Once our training is completed we will be caring for children under the age of 3. 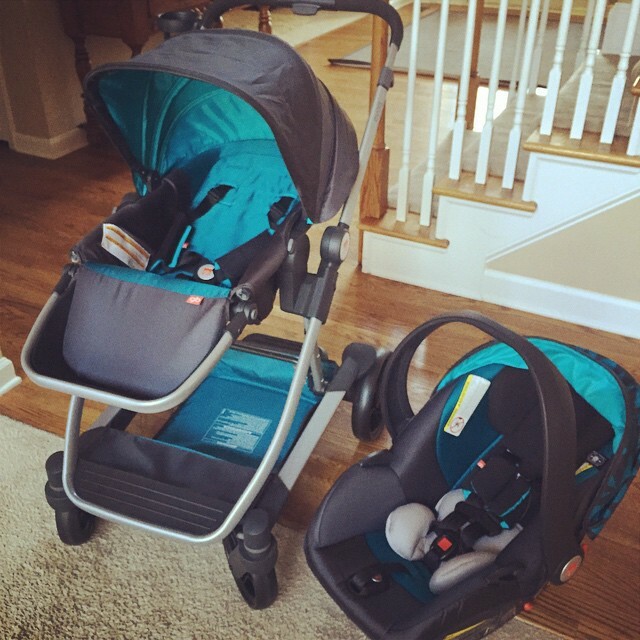 When I received the opportunity to review the GB Evoq Travel System I was thrilled. Perfect timing. Right? While I don’t have any babies currently within the home, I have been helping out a couple of friends who are new moms. When caring for their babies I was able to put the stroller and car seat to use. The design is incredibly stylish but more importantly I found the system easy to assemble and use. The GB Evoq system has four stages of transition for infants to new walkers. It has the option of forward facing and parent facing with it’s reversible tilt seat. I love the roomy storage basket. One feature I find great for moms with multiples is the glide on board. The car seat is made with a unique FirmFit system which makes installation easier. This makes me happy. Nothing worse than being in a hurry and fumbling around with pesky car seats. With all the soccer games we have going on for my son, I know the stroller is really going to come in handy too. It’s easy to fold and fits perfectly in the back of my Tahoe with all the soccer balls, cleats, umbrellas, and chairs. You get the point. 🙂 My vehicle is packed! It’s going to be interesting as we begin our journey into fostering. It’s going to be rewarding yet difficult but we are ready! And now we can mark stroller and car seat off our list of ‘must haves’. Thank you GB! This luxury 4-in-1 travel system is available at Babiesrus.com and retails for $429.99 Check out other GB products at http://gbchildusa.com and make sure to follow them on Twitter and Facebook!